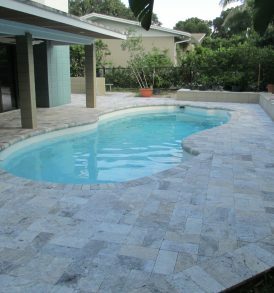 Travertine pavers are an incredibly versatile flooring material. They have a timeless appeal that brings an aura of grandeur and opulence without any garish dissonance. Tumbled edge travertine pavers offer great looks with the added advantage of durability and good grip, even when wet. This makes them ideal for the poolside, walkways, lanais, patios and driveways. Travertine pavers add breathtaking beauty to the surroundings. It can transform any dull area with its harmonious balance of classical charm and contemporary finesse. Since no two stones have the exact same pattern, travertine pavers create a truly exclusive theme. Stone-Mart brings to you the best quality tumbled edge travertine pavers to enhance your exteriors. 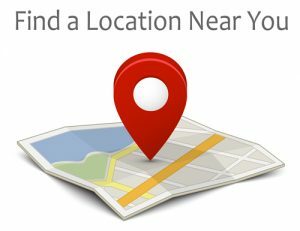 We give our customers true value for money with high-quality products at affordable rates. Talk to one of our experts to get an idea of how these tumbled edge products can help you. 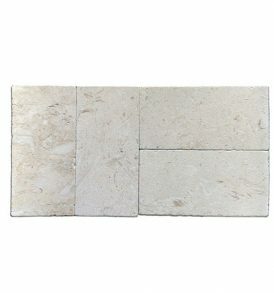 You can also order your free samples to get started with the selection process before you choose to buy a particular type of tumbled edge travertine pavers. We stock a wide variety of sizes, styles and patterns to cater to all your needs.